One of the excersises that we were asked to do at the Vounteer in Missions training in New York was to work on our theology of mission. With what basic aproach do we enter into the mission field? I will talk about mine below and Liz will hopefully post her's soon as well. The one clarification I should probably make is that this is my view of Christians working for God in the world whether in the "mission field" or here at home. Micah 6:8 and Isaiah 58 - great passages, check them out. God's mission started with his covenant to Abram for Abram to be the head of a nation that was to bless other nations. 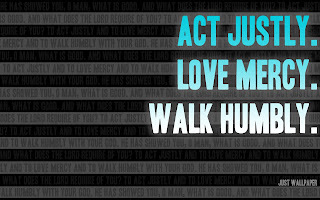 God's mission is to redeem the world and for peace, justice, and life to reign. We can do this everyday through little acts of great love that leave the world a brighter place even if only for an instant. We can also do this through years of work identifying the powers and principalities (evil and institutions) of this world and challenging their darkness with light. In the end we, as a global church both past and present, can move God's kingdom a little closer and the darkness a little further away. How I plan to do this in the next year has been laid out. In January Liz and I go to take care of 37 children who are vunerable in ways I doubt I have been familiar with in my lifetime. I hope that they gain peace from Liz and my presence. I also hope that their future hopes become brighter, that they are able to continue in life to do little acts of great love for others. I dream of taking the orphanage one step closer to having a school on site. A school that can provide education for the orphans as well as others in the villiage that can't afford school right now. In this way I hope to break the cycle of poverty, a power of the world that should no longer exist in children's lives. If we can do this for the orphans and villiage kids, maybe poverty won't exist in their children's or even grandchildren's lives. This would be a great way to fulfill God's mission for the church. What is your way?